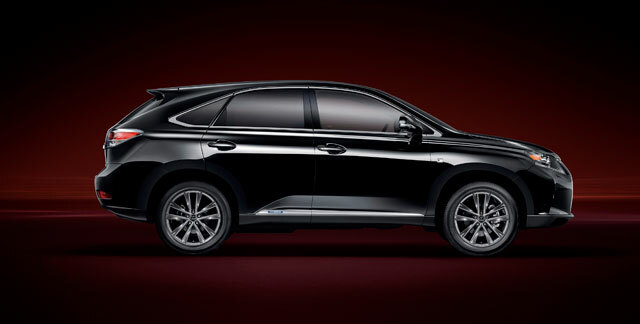 At long last, the full details about the Lexus RX 450h F Sport package have been released — in order to cover all the bases, I’m going to republish all available information from the Geneva press kit. 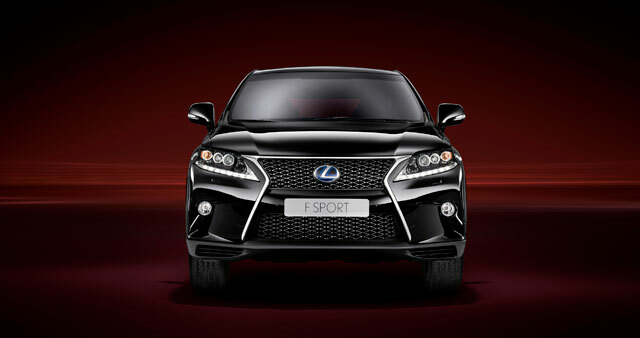 Further enhancing the dynamic and sporting character of the new RX and attracting new customers to the model range, a new F SPORT version is now available. Expected to account for up to 30% of all future RX sales in a new, 4 grade model range structure, the F SPORT grade features bespoke exterior and interior design and driving dynamics technology. 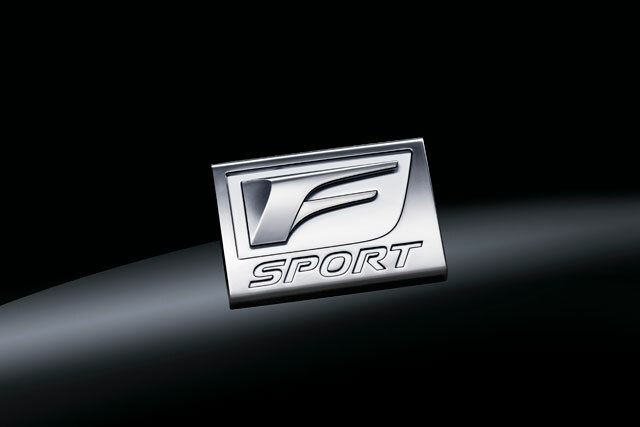 F SPORT versions of the new RX are instantly identifiable by significantly more aggressive, model-unique frontal styling. 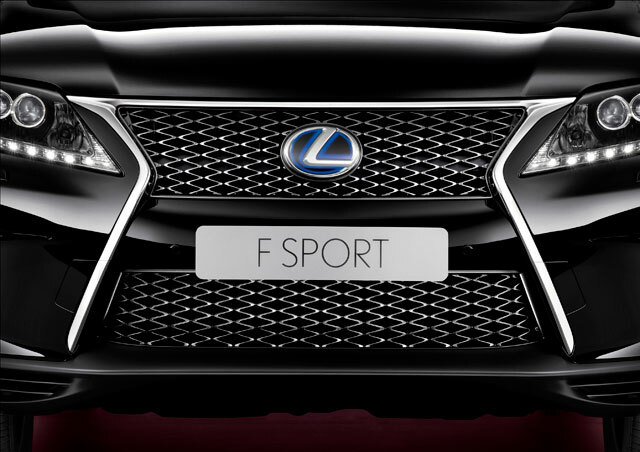 A deeper, more vertical front bumper incorporates a bigger lower section of the Lexus family ‘spindle’ grille design. Incorporating a full-width, aerodynamic spoiler for improved high speed stability, the lower bumper’s flared extremities house deeply rebated fog lamps. Both upper and lower grilles feature a sporting, F SPORT-specific mesh design. 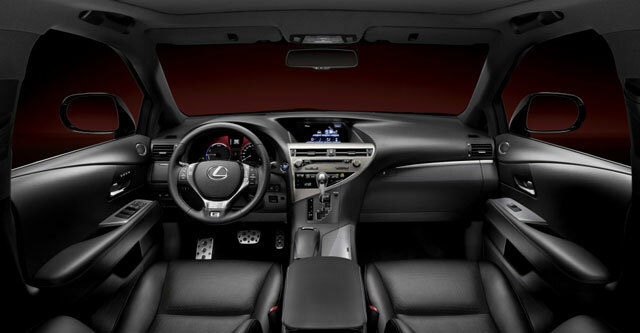 The F SPORT-exclusive interior is hallmarked by an exclusive, Black and White Grey colour scheme. It features black, smooth leather upholstery with white grey perforations and contrast stitching, steel silver painted trim inserts and a black ceiling to give the interior a more cockpit-like feel and aid driver concentration. Though difficult to analyse even using Computer Aided Design, micron- sized, minuscule vibrations manifest themselves as a slight discomfort when turning the wheel and minute deviations in vehicle behaviour during straight line acceleration. Their elimination brings a new dimension of steering response, agility and ride comfort to the premium SUV segment. 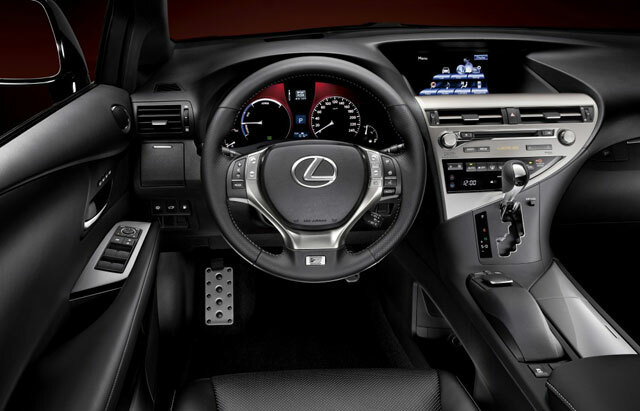 The 6-speed automatic transmission of the RX 350 F SPORT versions is now equipped with a steering wheel-mounted paddle shift control. The paddle switches can be used even with the gear selector in D range, allowing the driver to quickly change to fixed range mode without the need to engage S range via the gear lever. 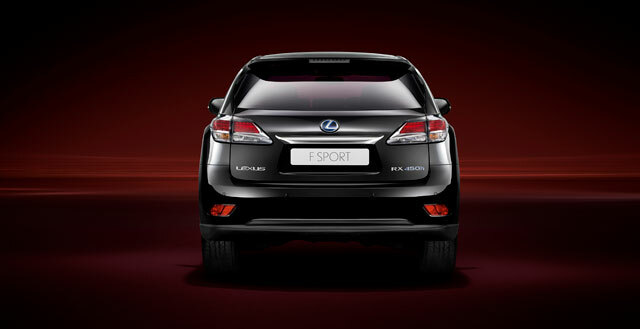 krew: It would pretty amazing to see 30% of RX sales in the F Sport config. I can't even imagine an RX-F, though.